Life is there to… have backup’s and tea! Backup’s of my computers at are very important to me (as it should be for everyone, I think). Many items that are important to me are stored on my main computer. Main computers? Yes, I have two computers running. But second one is mostly only used for things as Skype, IRC and other chat-programs. Specially Skype is important to me, because Marion and I use that very often to talk when she is away for her work. But on that computer nothing important is stored. For important things that computer is connected through the network to my computer. But, as already said, on the main computer many things are stored that I really don’t want to lose. Important documents as my tax forms. But maybe even more important to me are all my photographs are stored there. My “digital archive” (I scan all important correspondence) is on that computer and to that all other documents from many years back. And not less important is the e-mail over also many years. And there are more items that I don’t want to lose. So yes, backup’s are important to me. 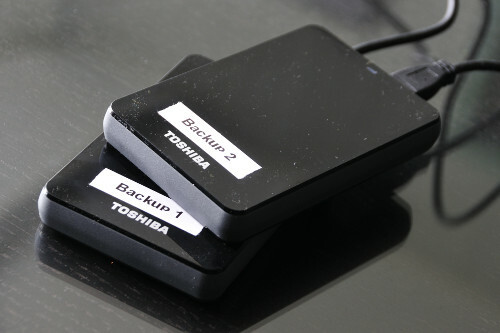 My backup’s are managed like this: There is an 3.5 inch external 1Tb hard disk always connect to the main computer (of course encrypted… as all the hard disks, external and internal). When I store for instance new photographs on the computer, I can make directly a fast backup of to that external hard disk. I use DirSync Pro for that, a very handy and clever free utility. Then there are two 2.5 inch external hard disks. Once per week a complete backup of all important files is written to one of those disks. The most recent backup is stored outside my house and those two hard disk are rotated all the time. And yes, these hard disks are also encrypted. And again I use DirSync Pro for this. But recently the two 2.5 inch external hard disks I just started to give out of disk space errors (mostly caused by my photographs). When I saw these two 1Tb 2.5 external hard disk for a very reasonable price, my decision was fast made (specially because they small (2.5 inch), get power through USB and they are fast (USB 3.0). This will make it for some time possible again to make good backup. And that is very important to me. The first disk is being encrypted now (connected to my second computer), a process that will take about 10 hours. During the weekends Marion and I both hardly drink any coffee. Most likely that to compensate the coffee we drink during at work. instead of that we drink tea. And for some reason we both don’t really like tea from bags. The flavor of tea bags is somehow not that nice as loose tea. 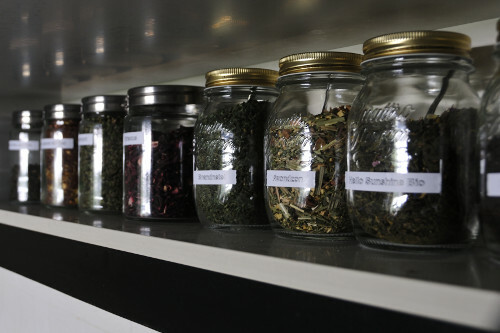 Add to that of loose tea there are so many more flavors and mixtures. So I have always several loose teas at home. 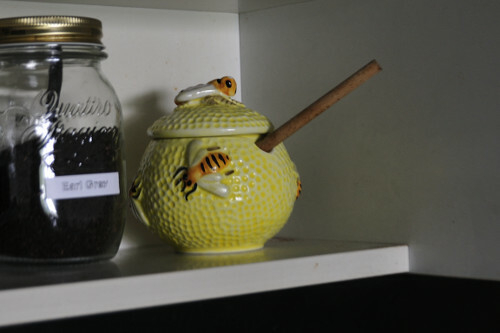 And once per year I replace all what is left over with new fresh teas. And that are the teas that arrived today. It was more than time to get fresh teas again. I always try to buy some different kinds of tea like green, black, white rooibos or oolong teas. Also some herb teas as always very nice. For instance nettle tea is very delicious and healthy as well. Maybe Marion and I like tea so much because, apart from the very nice tastes, we some time ago had a Japanese tea ceremony (we were guided throughout the ceremony by an experience person). I have to say that this made a very deep impression on both of us. There is so much respect for tradition and history in such a tea ceremony. One of the goals of the tea ceremony is to break away from every days affairs. It pleases the mind and helps to relax. To be free from what makes the normal way of life less pleasant. Since then we have been to some workshops about the Japanese tea ceremony and with all we learn we have our own tea ceremonies at times. Very welcome relaxing moments in a very busy life…. And Marion and I both think that tea must come along with honey :-).